After leaving Black Canyon of the Gunnison we made our way back toward I-70 to continue our eastward trek, but not before stopping at county fair in Olathe. The overflow parking attendants let us park in the hard packed lot for the same price as a car ($10), but combined with the $10 entry fee per person we were already paying a bit much just to enjoy a small fair for couple of hours. Despite the cost we had a great afternoon with live music, a dozen or so food trucks, and a beer tent with nothing but local craft beer and wine. Spending the afternoon at the fair meant we would not be putting in much driving distance for the day. As late afternoon approached we pulled into the town of Rifle’s excellent rest area and information center. It is not often you find a rest area with an RV dump station, which we took advantage of since we had been without the ability to do so in Black Canyon. The very helpful staff at the information center pointed us towards two nearby highly regarded state parks, but calls to the ranger stations indicated that they were both full for the night. This would be an ongoing trend, for whatever reason Colorado parks are unusually full this year. We were lucky to get our spot in Black Canyon earlier in the week, unable to get a spot in two state parks this day, and would experience further challenges over the next week near Frisco as well as in Boulder. Undeterred we used the information center’s computer to check reviews of private parks in the area, and settled on a Ami’s Acres, 26 miles further down the road. 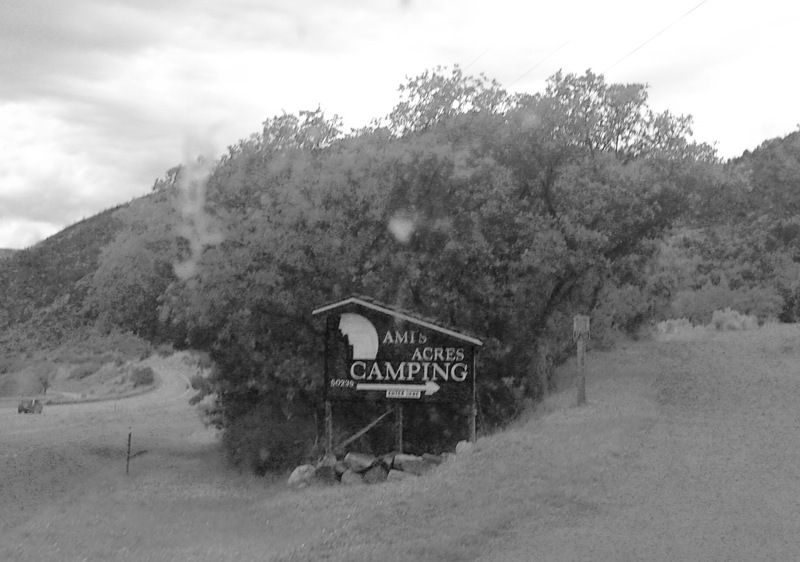 Ami’s Acres is a quaint RV park right off I-70 situated on terraced mountain side. The check in people were very helpful as well as candid about their free wifi, suggesting that our spot was too far from the park antenna to get a decent signal strength, but we were welcome to come up to the nice group seating area right next to the antenna for adequate internet access. 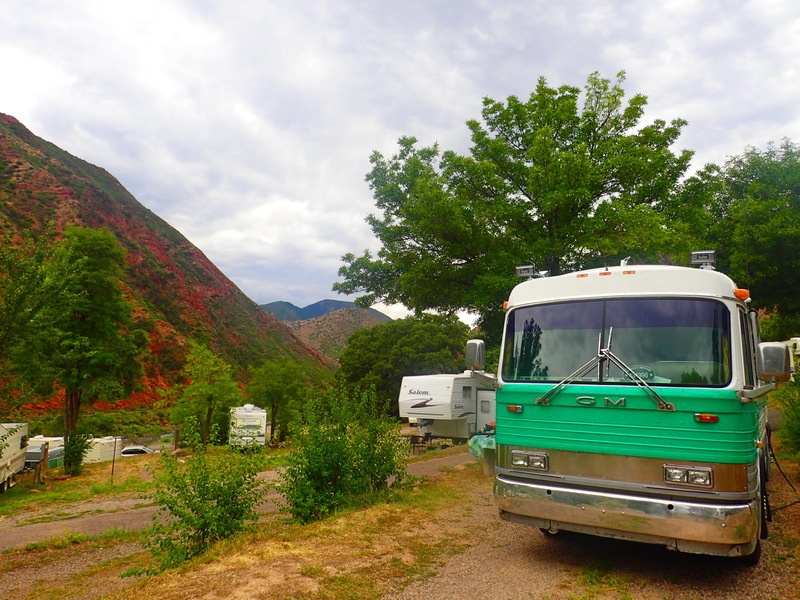 The RV sites were not particularly large, but all had full hookups with a nice view. Though not cheap, at $37 a night, all in, it was a reasonable deal considering the unusual high demand in the area, and we liked this park as a stopover along I-70. During our short research to find a place we came across a few negative reviews, but it really looks like management has worked hard over the last year to improve the place and deal with some of the things past RVers disliked. We stayed two days at Ami’s Acres, departing on a weekday, largely to increase our chances of getting a walk in spot at our popular next stop, Heaton Bay Campground in the White River National Forest. Next up: Heaton Bay, crossing the continental divide, and visiting another cousin.